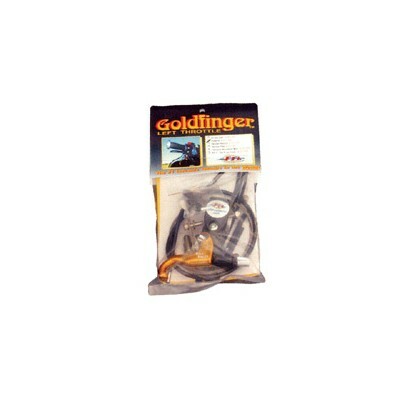 Goldfinger Left Throttle - Grip N Rip Racing LLC. Fits all models with flat slide carbs and all ETEC models. Does NOT fit any ACE 600, 900 or 1200 4 tek models. Our throttle kit is made from the highest quality parts. Kit includes: Gold anodized aluminum throttle lever, adapter and stainless steel fasteners, cables, safety pin, allan wrenches. Quality adapter and fasteners constructed of highest quality stainless steel. 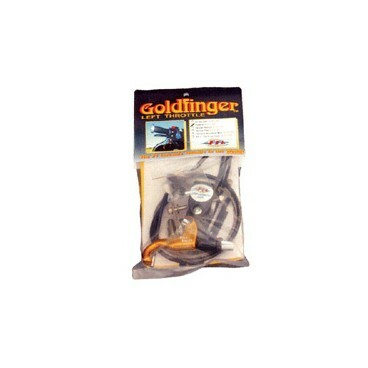 Gold anodized aluminum throttle lever can be operated with one finger for safer side hilling. Throttle does not interfere with hand warmers. Kit includes all hardware, allan wrenches and instructions for installation in approximately 20 min. Allows for hill climbing without reaching for throttle.